Seeing a need in the communities surrounding Project Bumwalukani, FIMRC started the Orphan and Vulnerable Children Program in 2011. Our Orphan and Vulnerable Children (OVC) Program is a flagship initiative providing orphaned and vulnerable children diagnosed with HIV+ qualified Guardians, and regular well-child checks. Currently, we have 22 OVCs, ranging in age from 2-14. Each OVC has a caretaker to provide care at home, and a Guardian who is a FIMRC volunteer that makes home visits each month to check up on their assigned child. Although each child is HIV-positive, many do not know about their status or what it means to live with HIV. An important factor of the OVC program is promote medication adherence, as each child knows they must take their anti-retroviral treatments daily. OVCs meet for monthly "Activity Days" at the FIMRC clinic once every month for games, health education, and bonding. Through programming at FIMRC, we are able to use resources like our poultry farm to ensure that OVCs are maintaining their CD4 levels. FIMRC Staff and Ambassador Donna Welsh are currently working on a graduation program for the OVCs for when they turn 18. It is our hope that hopefully be able to independently maintain their health and feel confident living with HIV despite regional stigmas and discrimination and become mentors for younger OVCs. 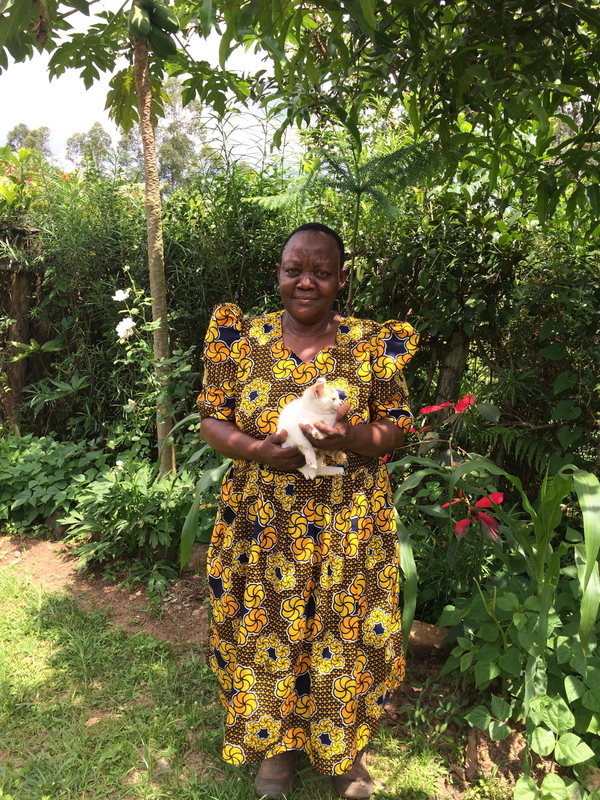 We have been so moved for the outpouring of support for these programs and would like to thank Casa Del Touristica for the donation of a cat to help keep our poultry farm safe from unwanted critters! The eggs the Poultry farm will produce will go to increasing the health of Project Bumwalukani's orphans program. Additionally, Project Bumwalukani was able to purchase Gumboots and Umbrellas for our Orphan and Vulnerable Children Guardians and for the Community Health Education Program (CHEs) for this rainy season. These boots and umbrellas will enable the Guardians to carry out their missions serving as mentors and advocates for our 22 OVC children. The CHEs will now have an easier time reaching the most remote villages to assess, educate, and refer patients to the FIMRC Health Center. Project Bumwalukani would like to give a special thanks to the Daniel's Family from Tempe, AZ. Thank you for your support! Posted on May 8, 2014 by FIMRC Operations and filed under News from the FIMRC Field, Uganda, Project Bumwalukani and tagged Uganda OVC Project Bumwalukani Community Health Educators HIV Stop the Stigma.